With the recent news of HSV developing a factory-approved right-hand drive conversion for the Chevrolet Camaro, StreetFighter are geared up ready and waiting. StreetFighter Australia / New Zealand are the exclusive partner and manufacturer for Hennessey Performance Vehicles (HPE) in Oceania. Hennessey Performance is a U.S based company that has been producing some of the fastest and most exhilarating vehicles in the world. They are continually featured in the world’s top tuner magazines and Motoring shows due to their amazing ability to make performance cars go even faster and look amazing. Their flagship Hennessey Venom GT has been tested as the World’s fastest production car topping 440kph! 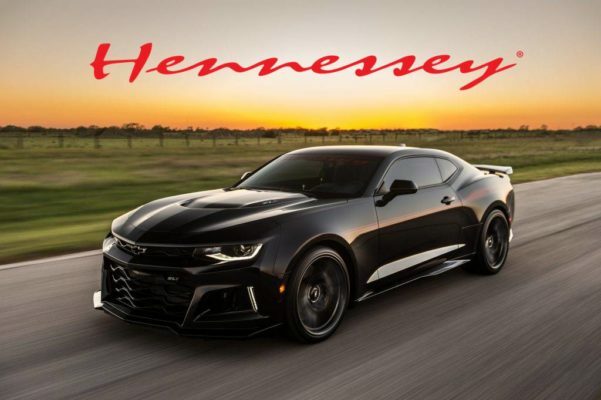 Established in 1991, Hennessey® Performance Engineering (HPE) builds and modifies more than 500 vehicles per year from a wide variety of brands that include Cadillac, Chevrolet, Ford, Lexus and Toyota. HPE also builds the world’s fastest production vehicle, the Hennessey Venom GT, which has a verified top speed of over 440 mph. In addition, Hennessey® operates Tuner School, the world’s first fully state-licensed school dedicated to teaching and training future performance vehicle tuners.HPE is also the only aftermarket tuner in North American with its own proving grounds, Lonestar Motorsports Park, whose IHRA-sanctioned quarter-mile drag strip is adjacent to the company’s 40,000 square foot workshop and showroom situated on 143 acres near Houston. StreetFighter Australia will be building Hennessey Camaros to be distributed Australia and New Zealand wide. StreetFighter will transform your new Australian delivered Camaro into a limited edition Hennessey of your choice. StreetFighter will be offering Hennessey HPE500 Camaro all the way up to the HPE1000 Camaro. And if HSV consider bring in the top-of-the-line 485kW Camaro ZL1 we can build yours into a limited edition Hennessey Exorcist HPE1000 (750kw) Camaro. Numbers are expected to be limited to 15 only.